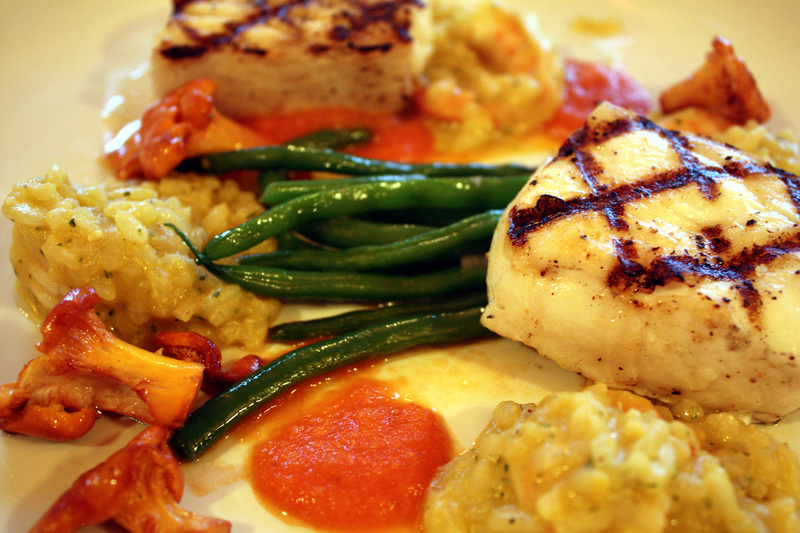 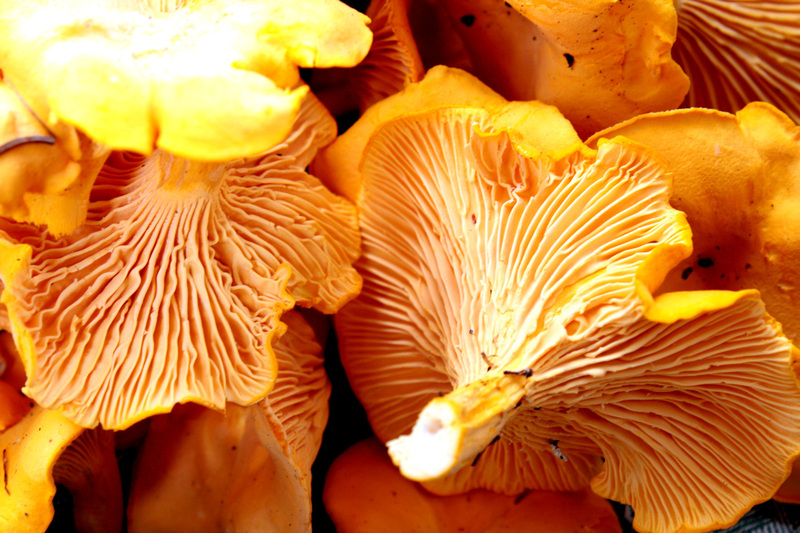 photos for article in good taste on chanterelles restaurant, nfld All photos by Darcy Rhyno. 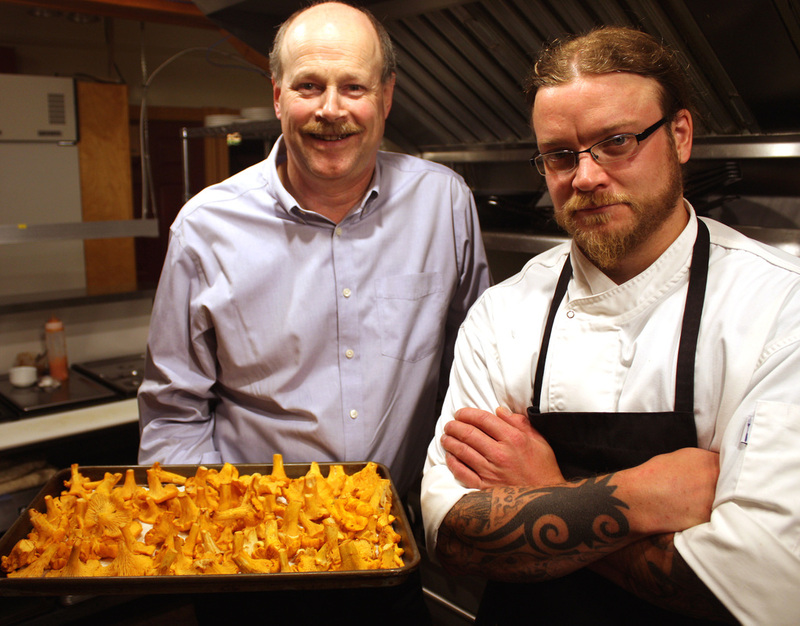 Vince McCarthy and Chef Jay Stuckless of Chanterelles Restaurant, Norris Point, Nfld in their kitchen with a pan of chanterelle mushrooms . 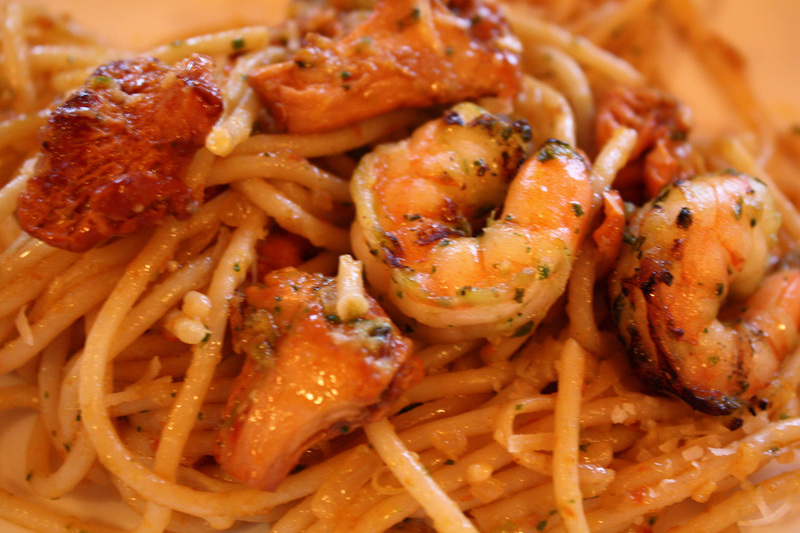 Chanterelles Restaurant's chanterelle and shrimp pasta. 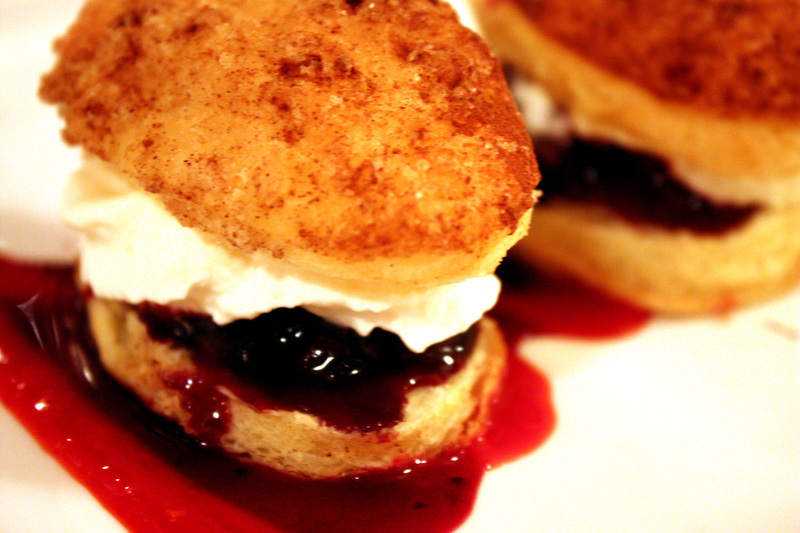 Chanterelles Restaurant: puff pastry napoleons with blueberry and partridgeberry confiture and Chantilly cream presented on a raspberry coulis. 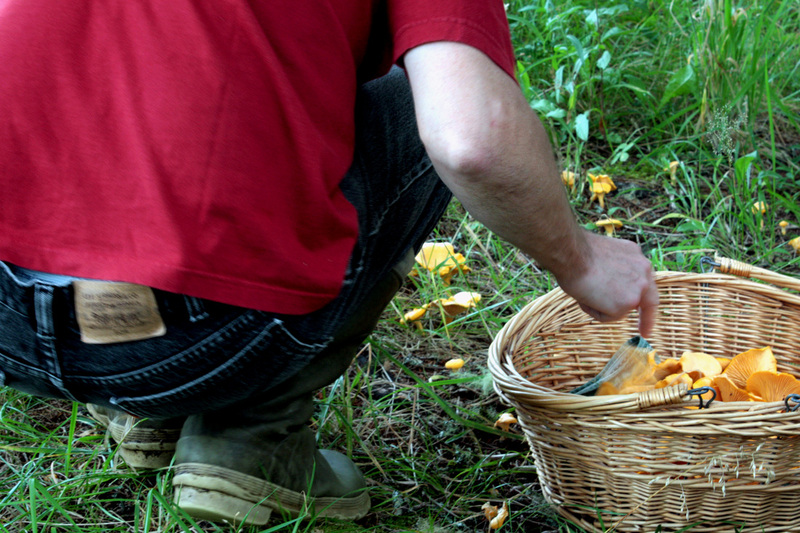 Me picking chanterelle mushrooms, but this works as a generic photo of picking mushrooms. 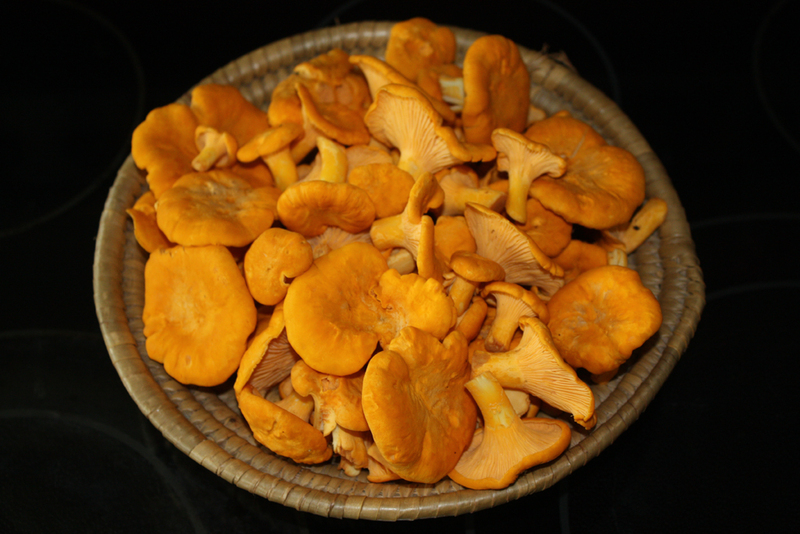 a basket of freshly picked chanterelle mushrooms. 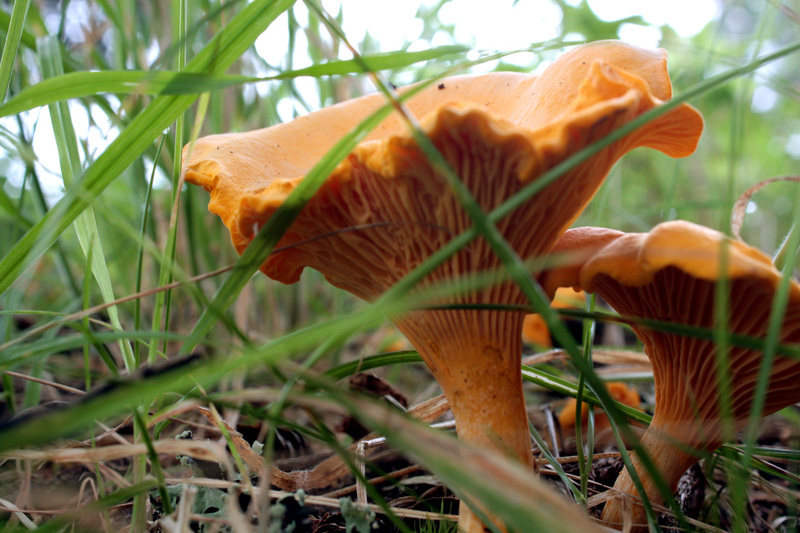 Chanterelle mushrooms in the wild. 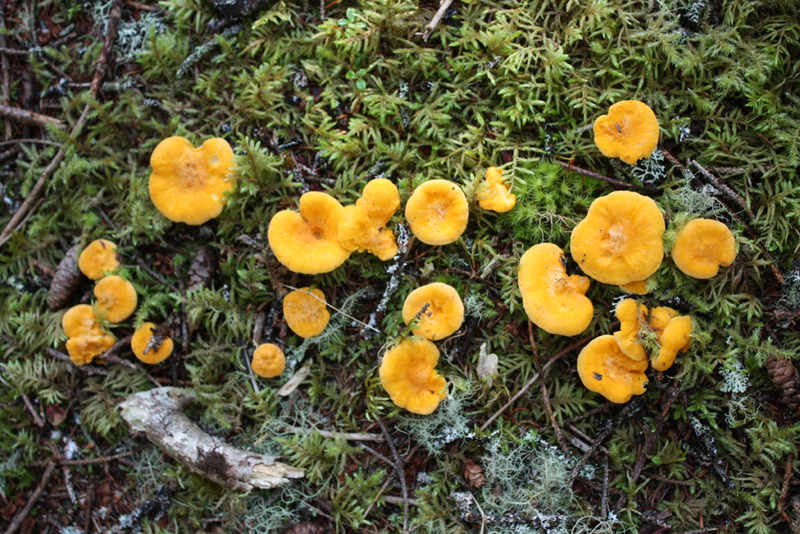 Note: this is in NS, not in Nfld. 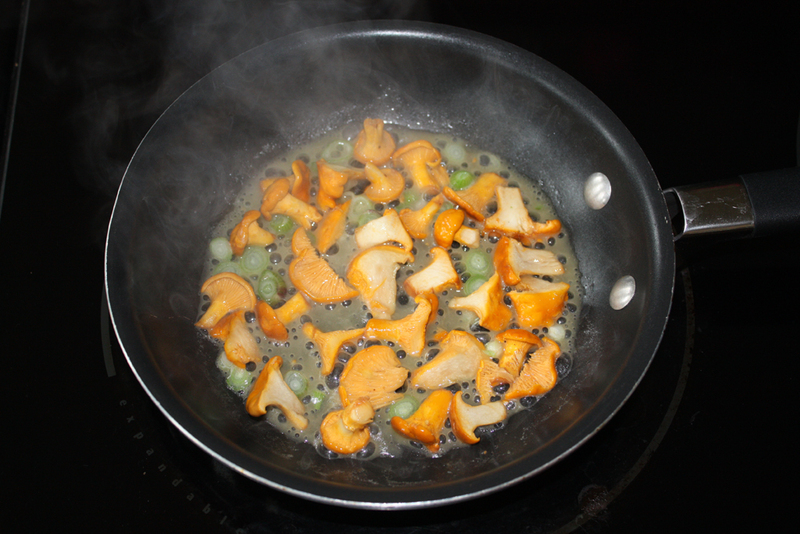 Frying chanterelle mushrooms in butter with green onion.